itsAlyx: When Life Gives You Books... and Earrings? Books. Oh, how I love them. I have to tell you guys a secret - my blogging has been lame lately because I've had my nose constantly stuck in a book. But... when life gives you books, you read them. Right? Just this year, I've read Pandemonium by Lauren Oliver (the sequel to Delirium), The Mapping of Love and Death by Jacqueline Winspear, The Other Boleyn Girl by Phillipa Gregory (for blogger book club... have you read it yet? 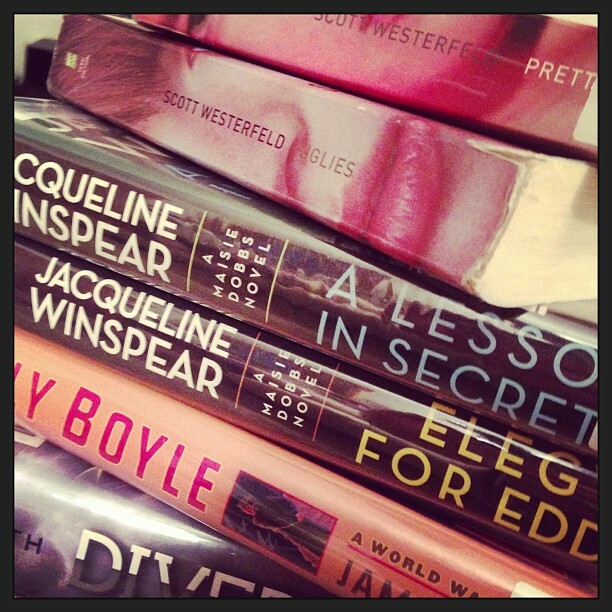 ), and Motor Mouth and Metro Girl (both by Janet Evanovich). I'm reading Uglies by Scott Westerfeld right now, and it's good. Like, really good. Hey Every Day is a new Adventure readers! 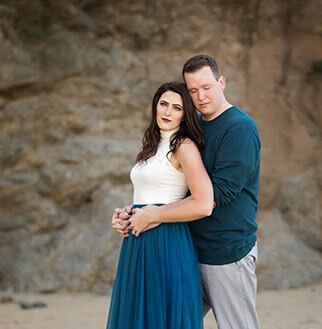 I'm Eryka, the writer behind the blog ABCDE and the owner of the little shop Made with Love, & that handsome guy up there is my hubby hubs! 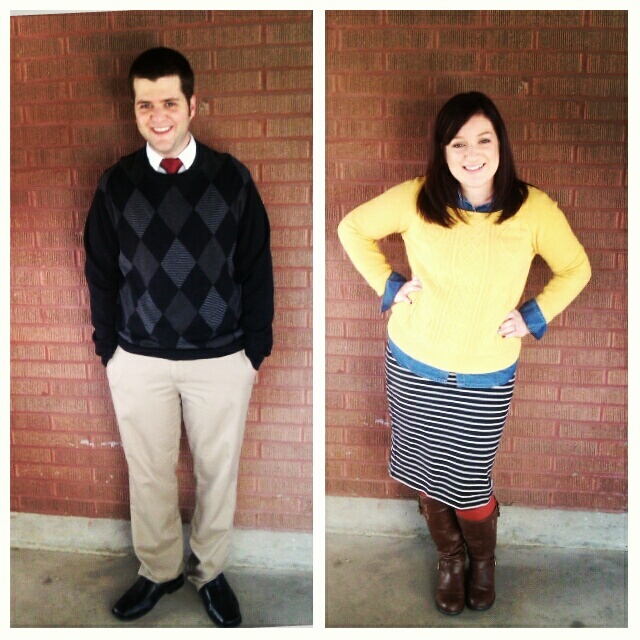 I love pretty things, blogging, date nights with hottie of a husband, and good hair days. I blog about my life as a wifey as well as share things I love. I started my shop a few months ago as a fun hobby. I love making pretty things, so I thought, why not share them with everyone?! You are in for a treat! I am giving one of you lucky readers a pair of earrings from my shop Made with Love. So awesome right? That's it! Good luck and thanks for letting stop on over Alyx!!! That's a good stack of books there. I picked up Uglies at one point but never read it past the first few pages. I think it was right after I'd finished reading Divergent for the second time (so good!). Or. . .maybe after I'd read Insurgent (also, very good!) and I couldn't seem to get into anything else. Lol. I love those red ones! I have a pair of beautiful red heels that I love wearing, but I have ZERO accessories to match them. So cute! Ooh, I wish I had the time to read 100 books this year. I've got 27 books to read for school alone. Asking a book lover to pick a favorite book is like asking a parent to pick a favorite child...Have you read The Guernsey Literary and Potato Peel Society? That's definitely one of my favorites. It's been a while since I've read a book so I give you a lot of props! I loved The Help! Some others - The Secret Life of Bees, Good in Bed, A Thousand White Women, Cold Sassy Tree, and Joy for Beginners. Let me know if you read any of them! That's awesome! I read Delirium & Uglies (well, the whole series actually) last year. I'm currently reading The Other Boleyn Girl, and Pandemonium is on my to-read-very-soon list. We really have similar taste in books. Woot! I started The Other Bolelyn Girl yesterday and I am LOVING it so far! Can you remind me again when we need to post our reviews? Delirium is one of the books on my list for this year...I can't wait to read it! I've also read The Uglies series, but I want to re-read 'em sometime this year since it's been forever since I've read 'em. I spy Divergent among your books!!! I loved loved loved that book. I think you will too! Wow, 100 books?! I read 12 in 2012 and thought that was amazing haha! However, I wanted to up that number this year and I finished my first book of 2013 last night, Room by Emma Donoghue and have to say it was a not so awesome way to start the year...booo. OMG I LOVED Uglies. Such a good series. Damn, now I want to reread it. I don't read very often, but I finished a book called "The Lost Art of Listening" for one of my school classes. It's a self-help book that really changed my perspective on how I listen to others! It's a really good book! I know this sounds just like every other comment, but "Wow! That's a lot of books!" You can do it. I would totally do it too, if not for that whole "school" thing. It ruins all of my best ideas. Oh well. When I stop going back to school over and over again, I'm totally tackling this many books. It will be a blast. yes i think you NEED to add Divergent & Insurgent to your list for 2012! I read the whole Uglies series and I really liked it!! I just found out I can check out books from the libraries in the schools i work at (my old school didn't have a library). ...being that it's all YA fiction, I'm basically in heaven. And I can check out by e-readr too! OMG I LOVE UGLIES!! It's such a great book series. I only wish it had been out when I was 12!! The Night Circus is also good. Only 387 pages and it's a fast read. ahhh...All the books sound so good and I can't wait to pick up more books after I finish the stack. You should pick up any Jennifer Weiner book. I love reading her books. I think that you will definitely relate to her book Little Earthquakes. Have a great weekend Alyx! The earrings are seriously adorable! Read a 100 books! That is such an amazing goal! I don't know how you do it all? Blog! Read! Grow a baby inside of you! Seriously. 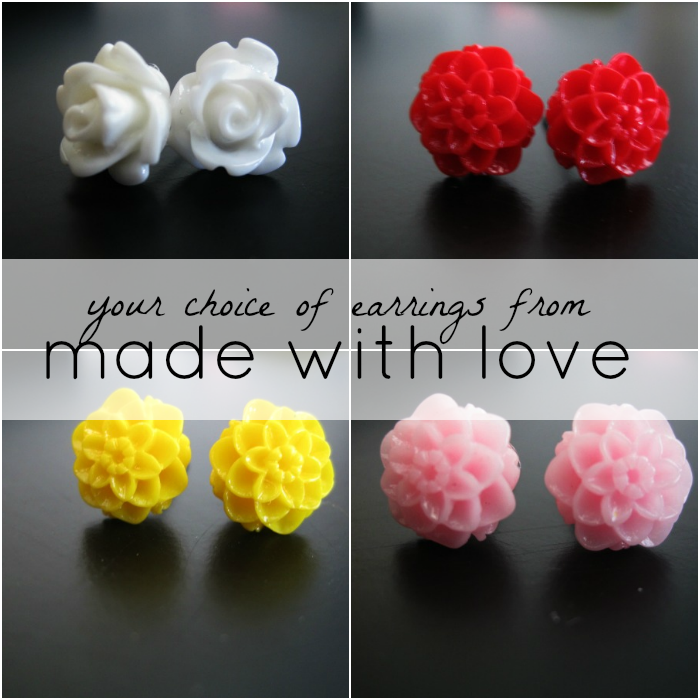 Love the earrings and Eryka's blog! I follow! And I love to have tons of books to read! I started to read the second book of the Carl Morck series by Jussi Adler-Olsen today and I love it! It is a thriller/crime novel and I can't stop reading! I LOVE the uglies series! SOOO good! If you've never read Little Women, it's a must-read. Also, the final book in the Sisterhood of the Traveling Pants series is basically lifechanging. Tuesdays with Morrie and the Five People You Meet in Heaven are also wonderful. I love to read. I could go on for days. The Lucky One. Nicholas Sparks. Seriously. Amazing.